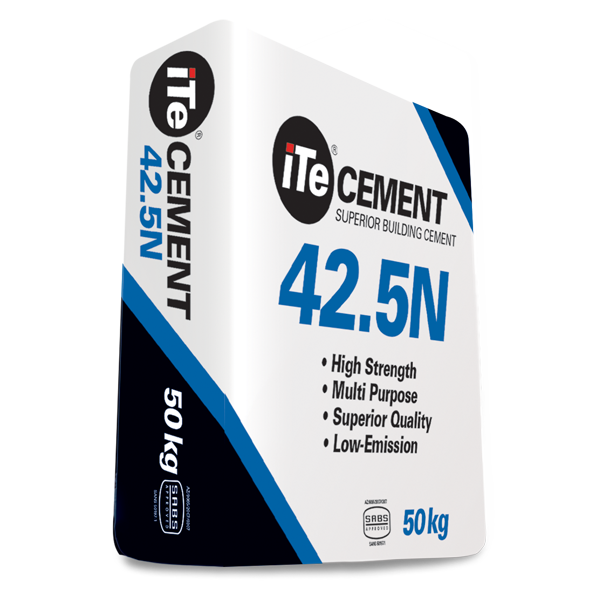 iTe Cement 42.5N conforms to the International Quality Standard SABS SANS 50197-1 in the CEM V A (S-V) 42.5N strength class. The aggregates used in mixtures are by volume the major constituents of the plaster, mortar or concrete mix. They significantly influence the performance and cost. Use only reputable suppliers whose quality consistency can be relied on. Sand should be free of organic matter such as roots, twigs and leaves. Well graded sand ranging from dust to coarse particles will produce the best results - too many fines will require a high water demand which causes shrinkage during drying, while a no fines sand results in a harsh mix with no workability. Use the least amount of water in the mix for the workability required. The quantity of the mix should be small enough to be used up within two hours - NEVER re-temper a mix by mixing in additional water! 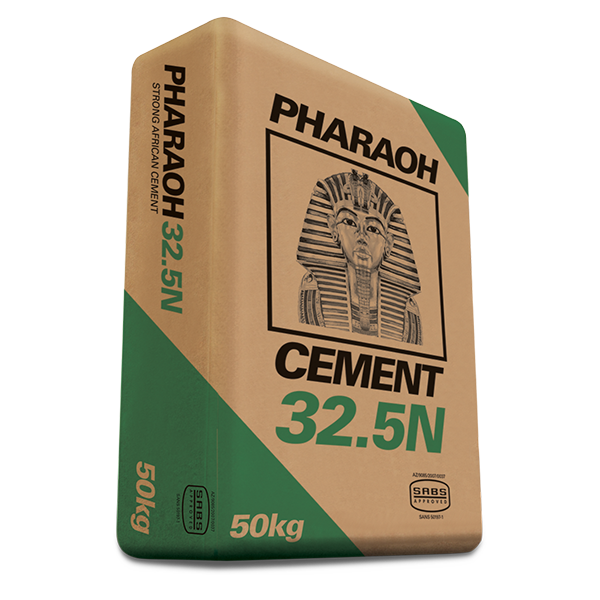 Mortar—One should not use concrete at temperatures below 5oC. When working at high temperatures, the bricks should be moistened to prevent too much water being sucked out of the mortar. Direct sunlight and drying winds can adversely affect the mortar. Try to slow the curing of the concrete.